Thanks to Kamal Karnataka, Udit Jain, Amit Rao, Anand Mahajani, Mahasdash for posting replies. 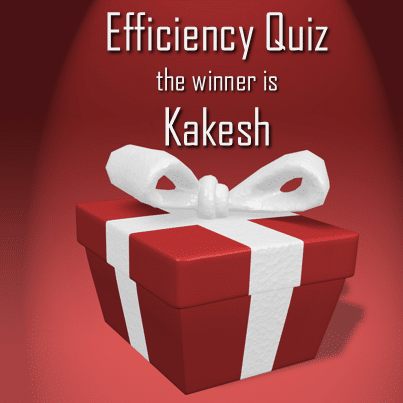 Kakesh was declared the winner because he explained both uses of Quick Click clearly- for Follow Up Flag default and Color Category default. Quick click is a way of categorizing the emails. In a single click a mail or contact can be categorized to default category. Default category can be set using set up quick clicks. Custom followup flags can also be made using custom option where start date , end date can also be defined.Similarly for contact also flag can be defined using single click. In a table view of contact flag option comes and by clicking that once it sets the flag to default category. I use quick click for making a mail important one so that I can review the same at a later date also. So I have to review only my important mails at a later date. Remember to use Color Categories to color code your mails, tasks, calendar entries and even contacts. Try to standardize use of color categories at least within your team – to avoid confusion. DO NOT use flags to mark tasks – convert mails to tasks. Thank you. Will continue to learn from you. How would I get the prize?? Please send a mail to nitin@maxoffice.biz. We will send you the gift voucher by mail. It can be redeemed online. Specify whether you prefer Amazon or Flipkart voucher.